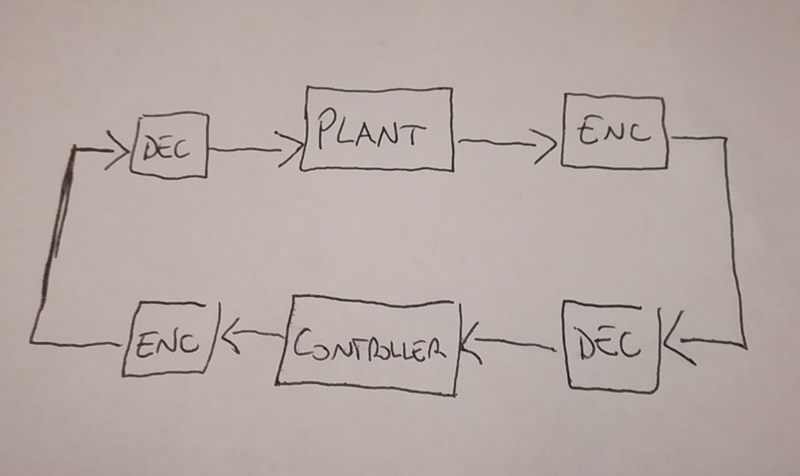 The input of the controller has to be the output of the plant, and the input of the plant has to be the output of the controller. I think the problem happens when I try to decrypt, but I am not sure. Can somebody help me? Thank's in advance. sorry, I had to delete some pictures because I can't post all of them because I don't have enough reputation. Shouldn't I get almost the same result as the ones without encryption? I think that something is wrong with the input u and how I initialize and increment it, but I don' t know how to fix this. Can somebody help me? Thank's in advance. i can see that y_p and y_dec, which should be the same, are different at each iteration. 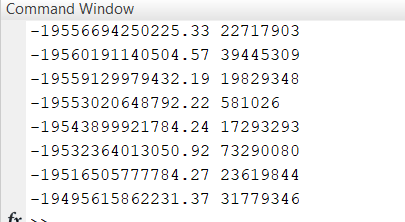 the problem is that even if i add a quantization ,and so i get integers, i get the same output. so u(ind+1) and u_dec(ind+1) are different numbers. And another fact that leaves me confused is that if i quantize u(ind+1), this result doesn't become an integer. as result, after the decryption i get 31779346, and not the original number. 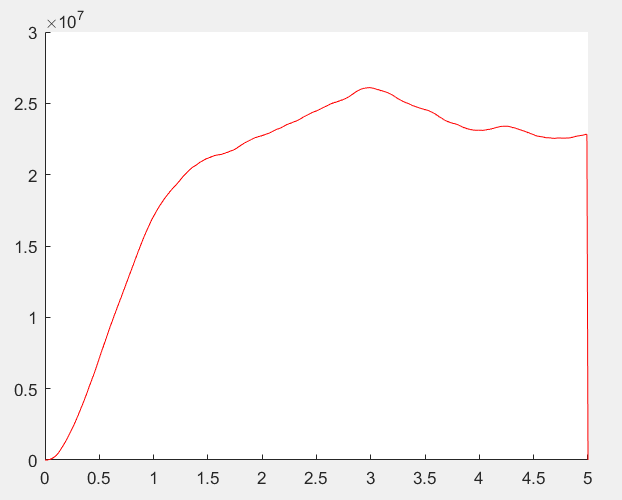 I think modpow calculates the modular exponential for large numbers, but it looks like it has a limit. This is probably the root of the trouble you're having. Interesting that the paper didn't mention anything about this. I'm not sure how they arrived at the encrypted control parameters but, as I mentioned below, it's not my field so I haven't "digested" the paper. In any event, RSA encryption doesn't work with non-integer or negative integer numbers so you can't pass fractional numbers back and forth and you can't pass negative numbers back and forth. I've removed the original answer here, but it's in the edit history if anyone is curious. So, as you can see, a negative integer can wind up giving you the same encryption result as (a different) positive integer. 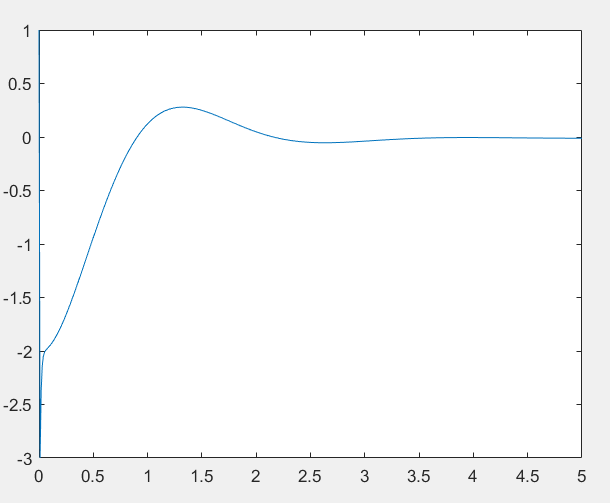 Since N is always positive (because p and q are prime and thus positive), Matlab documentation states that the modulus operation will always return a positive result. 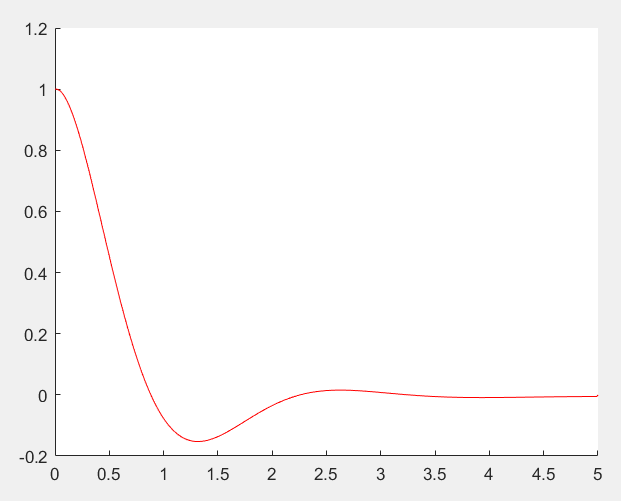 This again confirms that modpow of some negative number, with N>0, will always result in some positive result which could be duplicated by a positive number. It also means that modpow(~, d, N) will never return a negative number. I commented all the lines (six of them) with % <-- New to highlight the changes; again all I did was shift your values by +100 (biasValue) and then multiply by 1000 (scaleFactor) before rounding, and then doing the inverse after decrypting. Seems like that's got your controller working! Not the answer you're looking for? Browse other questions tagged control matlab or ask your own question. 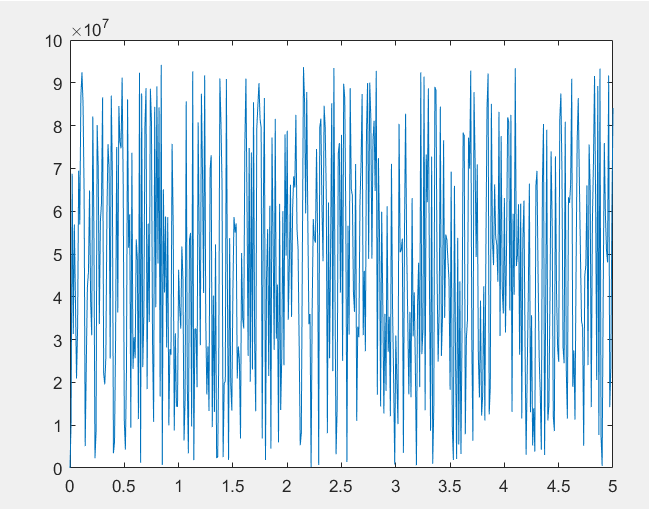 How to apply A bang-bang signal of amplitude 1 N and 1 s width as an input force to reproduce certain results in Matlab?